Volunteers are the backbone of the church. They help with communion, wash the linens, care for the babies during service, greet new members, organize mission trips and manage just about every other job that’s integral to running and maintaining a church and its mission. Being able to recruit, manage and retain happy, reliable volunteers is one of the constant struggles every church leader must grapple with, but there are ways to be more efficient and effective at finding those energetic people who will help nurture and grow your church. Here are 9 effective but surprisingly simple ways to grow your volunteer base without breaking the bank or your sanity! If your church isn’t active on social media, you’re missing out on one of the most cost-effective marketing and communications available today. Social media allows organizations an easy, quick way to share volunteer opportunities with a large audience, tell their story and mission using photos and videos, and engage with a wide range of people. Encourage current volunteers to share videos and photos during their volunteer service and tag the church. Share their posts on the church’s social media platforms and on the website. Feeling brave? Consider sharing your story in real-time via Facebook Live or Periscope, which allows you to interact with a live audience. It’s the modern-day solution that preludes every online query, and that includes “volunteer opportunities by me” and “best churches in my area.” By creating a specific volunteer page, current and potential volunteers have a virtual space to research and sign up for current volunteer opportunities, event schedules and other relevant information. 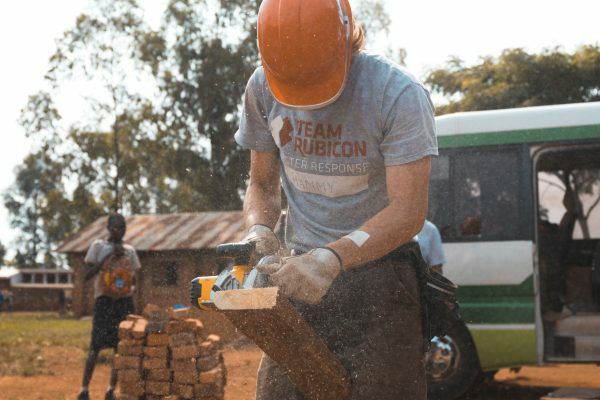 In addition, you can share photos from mission trips, spotlight hard-working volunteers, and have a clear link to important FAQs and information about your programs. VolunteerMark makes it easy to create and post opportunities online in a matter of minutes. John Acuff in his book Finish: Give Yourself the Gift of Done, argues that habits become stickier when they’re fun. All volunteers want to help their communities in some way, but not everyone wants to do it by building new houses or delivering food to homeless community members, and those people will be less likely to return. However, when you match people to opportunities they enjoy and are good at, they’ll want to come back. When posting and sharing volunteer opportunities, write an honest and specific description of the positions just as you would a paid job posting. Have people apply to positions and use actual applications to ensure that applicants are not only qualified but also best suited for the positions. People learn through stories. Engage potential volunteers by sharing the joys, frustrations, challenges and rewards of volunteerism through a weekly or monthly blog. A blog not only helps organizations relate their volunteer mission on a more personal level, it also draws potential members to your website though keyword searches. Don’t be intimidated by vlogs either. Trust us, there are plenty of low-tech videos on Youtube that are wildly successful. People are more interested in a moving message than in perfect lighting and sound. Bulletins are useful for tools for the congregation to follow the service, but how often do they really read all of it? If you have an event that requires many volunteers, create a separate, colorful flyer and put it in the bulletin that has a checklist of needed positions and request volunteers. Instruct potential volunteers to fold and drop the flyer into the offering plate with the donations. Create a mailing list of all the volunteers, and email out the opportunities as you need them filled. Used sparingly, group texting can be an effective way to reach a large number of people. This tool is especially useful when you need to quickly fill a position. VolunteerMark’s Backup Bot tool provides you a list of names of potential wait-listed volunteers should a volunteer have to back out unexpectedly. Studies have found that people read texts with more sense of urgency than an email, which may not even get read until days later. You can barely cover the volunteer positions at your church now—we get it! Yet, using your talent, time and muscle in other sectors of the community builds trust and forges new relationships with people. Many volunteers give their time to multiple organizations, and if you’re lucky they may consider your church as one of them. It’s surprising how often this low-tech tactic is used. Don’t be afraid to ask friends, co-workers, neighbors or church members for help. Be strategic, however. Only ask people that you think would genuinely enjoy the task. Sometime, though, people may not be able to do it themselves but will pass along the information to one of their friends. Everyone understands that volunteers don’t get paid for their time and effort, but people sometimes mistake “volunteer service” with “optional service.” They willingly agree to help with a project only to cancel at the last-minute because of another engagement that popped up. But what if we treated volunteer work like we did our paid jobs or children’s sports events? Setting the right volunteer expectations early can save coordinators a lot of time and awkward conversations down the road. Just because a commitment doesn’t come with a paycheck shouldn’t make it any less important. Gone are the days of trying to juggle all your volunteers on a spreadsheet. Technology may make us pull our hair out some days in frustration, but it’s also provided us a way to more efficiently use our limited time. Churches are built on the sweat, love and kindness of volunteers, so it’s imperative the process is as streamlined and user friendly for both coordinator and volunteer. Volunteer management software like VolunteerMark provides a low-cost way to find and share volunteer opportunities, communicate with volunteers and analyze data for better decision making. It’s not easy to juggle all the responsibilities of a church, and finding and managing volunteers can be a prickly affair, but having the right tools (and attitude) will help smooth the process. To learn more about how VolunteerMark can help your church or organization manage its volunteers, visit the VolunteerMark webpage or schedule a commitment-free demo today. Previous Post The Top VolunteerMark FAQ, Answered! VolunteerMark Blog will use the information you provide on this form to be in touch with you and to provide updates and marketing.